While playing in our neighborhood park recently, a woman working for the local newspaper was walking around and shooting photographs of the kids enjoying the new and improved playground. She asked if she could photograph the boys and, of course, Evan and I happily said yes. 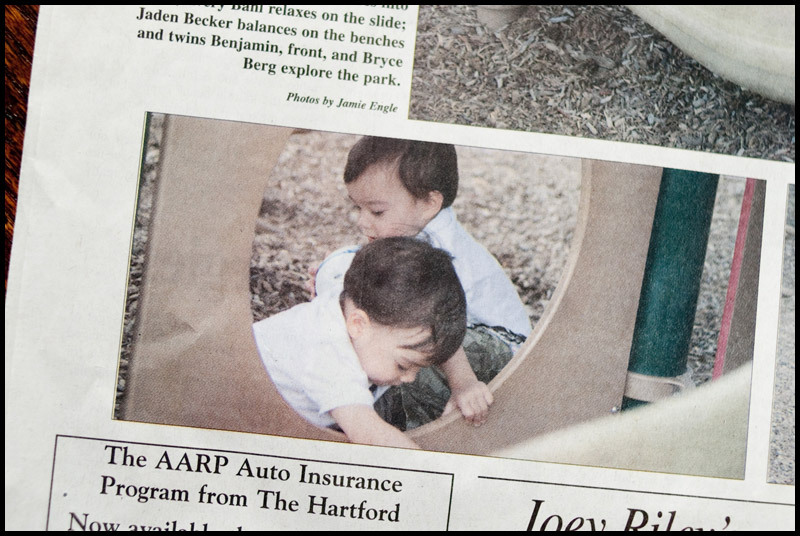 We were so excited when one of the pics made it into the paper! And, I'm not sure how, the woman even specified in the paper which child was which. That's quite impressive! Yea! You've got two little stars in your hands!